Congestion pricing has the potential to pave the way for more equitable mobility in China’s cities. Photo by GuoZhongHua/Shutterstock. China’s capital city of Beijing is already home to 5.4 million cars, the most of any Chinese city. The country’s rising wealth means that this is a trend unlikely to stop. This rapid motorization has led to many city government “quick fixes” aimed at easing congestion problems in the short-term. In Beijing and other cities, these include creating numerous expressways, flyovers, and tunnels throughout the city. But this infrastructure that immediately “fixes” the problem never quite seems to keep up with the mounting number of vehicles on the road for long. To provide better air quality and faster, safer mobility for its 11.5 million residents, on November 5, 2013, the Beijing launched its “Work Plan for Vehicle Emission Control 2013-2017”. This plan includes lowering car-licensing quotas from 240,000 to 150,000 cars per year, while increasing the annual quota for electric vehicles from 20,000 units in 2014 to 60,000 units by 2017, and creating the charging stations needed to support these vehicles. Congestion pricing is one of the most contested components of the work plan, but is also one of the potentially transformational moves that will bring sustainable transport investment and equitable mobility to Beijing. The success of congestion pricing will rest on how this new charging scheme is perceived and how its revenue is reinvested in the community. This hesitance to enact congestion pricing policies stems from the rapidly shifting economic climate and growing inequality of China’s cities. Any policy that treats a different sector of the population differently is viewed with suspicion, even if this policy is meant to create greater mobility for all populations. Residents’ lack of trust in the government to combat inequality stems from China’s economic reforms of the late 1970s, which, while decreasing poverty rate from 87% in 1981 to approximately 13% in 2011, also widened the gap between the rich and poor. By the end of 2009, the total urban population in China was 621,860,000, among which 50,000,000 were urban poor. Some of the poor are laid-off workers that used to work in state-owned companies that failed in competition with private and foreign-funded firms. Many of these employees could not be re-employed due to physical limitations, or lack of necessary skills. Then there was the growing “floating population” of rural migrant workers that took on temporary, insecure jobs because they could offer cheap labor. How to address this class of urban poor has become one of the greatest challenges for Chinese cities. Creating more jobs has been one component of this debate. Finding how to incorporate these people into the social security and welfare system has been another component. So, too, has been developing mass transport in an equitable way to give these populations greater access to jobs, better education, and health care opportunities. While some have argued that congestion pricing contributes to inequality, when done right, it can do just the opposite. The basic idea of congestion pricing is that there is a fee on cars driving on certain roadways, a fee that varies according to the time of day when cars travel. At peak hours the price is higher; at off-peak times when fewer people are driving, the cost is lower. Many urban residents are wary of congestion pricing because they believe it will benefit the rich who can afford to pay peak-hour tolls. And in some ways it will, or at least it will benefit those that do not need to think about the added money for their mobility. For others, they might shift their trips to lower-cost times, or decide to take mass transport. More middle class mass transport users will help to change entrenched notions that mass transport is for the poor. As well, during peak times there will be fewer cars on the road, and so buses can travel faster. This means those taking mass transport will get to their destinations quicker for a significantly lower price. The success of congestion pricing will rest on whether it is a policy supported by the public. An important part of this support rests on how the money from car tolls is used. Revenue from congestion charging can enable many new transport initiatives, such as expanding bus routes, increasing the reliability of the subway system, and capping fares for low-income individuals. This revenue can go towards building biking and walking infrastructure for expanded pedestrian access to the city. This money can create parks where populations far from home can develop new social ties. If the tolls are used in the right way, congestion pricing has the ability to usher in a new era of investment for mass transport and equitable mobility for all of China’s residents. 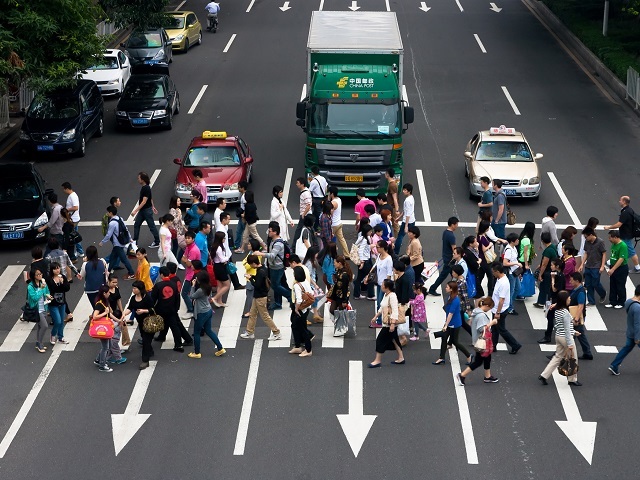 Learn more about EMBARQ China’s role in helping Beijing develop a comprehensive congestion pricing plan that will increase social equity, clean the air, and curb congestion.